Your Metals Deserve a Vacation. Take Them to the Caymans. Your metals have worked hard this year. Year-to-date, gold is up a strong 11%, silver 6%, and palladium an astonishing 40%! It's safe to say they've certainly pulled their weight in 2017! What if we told you that one of the best places to store your precious metals was only a short flight from home, tucked away on one of the most beautiful islands in the Caribbean? You may not know that the Cayman Islands are among the top five locations in the world to store your gold and silver holdings—and ASI is making it easier than ever before to store your metals in this tax haven. Now through December 31, 2017, Strategic Wealth Preservation (SWP) in the Cayman Islands is letting ASI readers in on a limited-time opportunity to receive lifetime preferential rates on gold and silver storage—with an added bonus of free American silver! If you want to take advantage of some of the lowest offshore storage rates around, you absolutely must act now, as this offer is only available through the end of the year! SWP is well-known for their unmatched customer service and state-of-the-art security. The independently-owned facility offers fully allocated, segregated, and insured storage and is widely regarded as the premier storage facility in the Western Hemisphere. Furthermore, SWP does not have any wealth-reporting requirements to the Cayman or any foreign governments, and is just a short flight from most major North American cities. The Cayman Islands are especially popular among investors, as there is no direct taxation, and precious metals are not subject to entry or exit tariffs. Moreover, there is no value-added tax (VAT) for the purchase or storage of precious metals in the Cayman Islands. Precious metals stored at SWP are held in their Class III UL-rated vault, and all holdings can be accessed by scheduling an appointment at least 24 hours in advance. SWP caters to a diverse range of clients, including individuals, companies, trusts, and wealth management professionals. 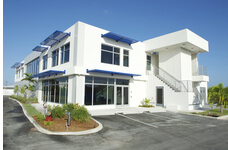 The award-winning Cayman Technology Centre, in which SWP is housed, is praised for its innovativeness, sustainability, and energy efficiency. One of the many benefits of storing with SWP is you retain direct and complete legal ownership of your precious metals while they are held in the facility. This means you don’t have to worry about anyone else making decisions for your portfolio. You also have the option to secure your retirement portfolio with SWP, as they are an approved storage facility for self-directed precious metals IRAs. ASI can now help you diversify your assets by giving you discounted annual storage fees on both gold and silver when you store your precious metals at SWP—and these are the same coins and bars you would normally have delivered to your home! For new clients, the annual storage fee for gold is just 0.50% and 0.75% for silver for any value deposited—for as long as you store your metals at SWP*. These rates are normally reserved for holdings valued at $200,000 or more! This covers vaulting, insurance, an annual audit, and record-keeping for all your metals. Not to mention, SWP’s world-class customer service! Free Silver—Just for Safeguarding Your Metals! Download the account application and send your completed documentation to SWP at info@swpcayman.com. Contact an ASI representative at 800-831-0007 to purchase the precious metals you want to deposit into your account. 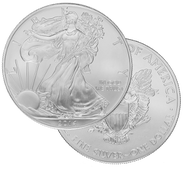 Once ASI has received the funds for your order, we will automatically add the 5 free 1-ounce silver American Eagles to your holdings! One of the most important steps you can take to protect your assets is storing them in a variety of locations both domestic and abroad. This reduces your risk should your home country choose to seize or otherwise control your assets. To take advantage of preferred storage fees for life on gold and silver—and to claim your free silver—please call us at 800-831-0007 or download your application to get started today! *Must be a new SWP client and complete a transaction by Sunday, December 31, 2017, to receive five (5) free silver American Eagles and lifetime preferential storage rates. Offer valid for first-time SWP clients only. Must meet minimum purchase amount of 100 ounces of silver or 1 ounce of gold to receive five (5) free silver American Eagles.